Where to stay in Montreal? 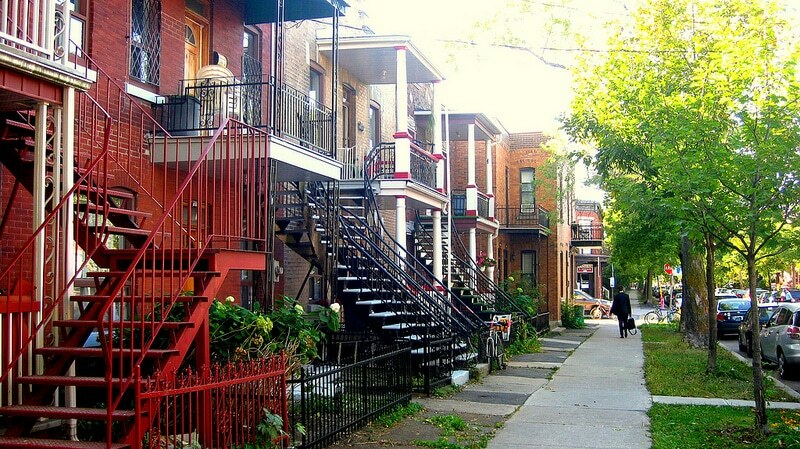 Discover the best neighborhoods to stay in Montreal to fully enjoy your Quebec getaway! Are you planning to stay in Montreal? You will have to make a tough choice because each neighbourhood of Montreal has its own unique atmosphere. Nestled on an islet on the Saint Lawrence River, Montréal is one of the most cosmopolitan cities in the world, with 1.7 million inhabitants and 4 million people spread across the metropolitan area. While 50% of the population speaks French as their mother tongue, the city also has 7% of anglophones and 33% speakers other foreign languages. Canada’s second most economically and culturally important city after Toronto, Montreal was voted “Best Student City in the World” in 2017. The city attracts more than 10 million visitors each year. You will be struck by the disconcerting hospitality of the locals and you will certainly want to return to Quebec once you’ve traveled back home. Here is a non-exhaustive mini-guide of the best neighbourhoods to stay in Montreal. Renowned for being the refuge of Europeans, Le Plateau-Mont-Royal is very popular with French expatriates and the nostalgics of their native country. It is called “Le Plateau” due to its location on the heights of Mount Royal. 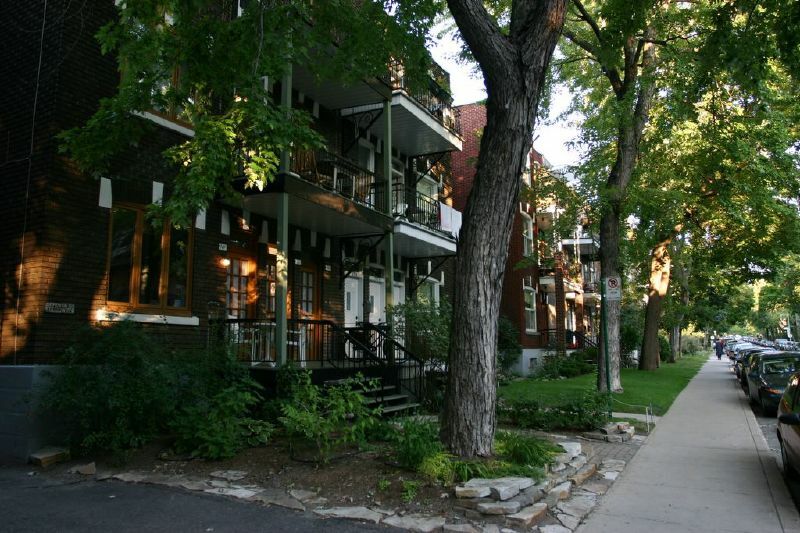 Set against a picturesque scenery, it is one of the most pleasant areas to stay in Montreal. Traversed by the Avenue du Mont-Royal, the district is populated by young people who enjoy its myriad of bars and small restaurants. Immerse yourself in the area’s festive atmosphere, and satisfy your shopping appetites by visiting its trendy shops. Moreover, public transportation makes it easy to reach downtown and the banks of the Saint Lawrence. The Plateau is a good neighbourhood to stay in Montreal, as it is very lively and offers an array of accommodation options, from luxury hotels to cheap hostels. This is not the “Little Italy” of Chicago at a time when the Sicilian mafia had a strong grip on political power, but a haven of Mediterranean culture in Quebec. This is where thousands of Italian immigrants chose to settle upon arriving on the continent at the beginning of the 20th century. Staying here is much more affordable than in the city centre. Situated to the west of the Plateau-Mont-Royal, the area is generously filled with small cafes. Take advantage of the Jean Talon market to feast on a cheesy Poutine and immerse yourself in local life. With its many trattorias – Italian restaurants or pizzerias – the neighbourhood exudes a peaceful atmosphere, although there are few tourist attractions. A good choice if you want to escape the tourists on the lookout for the most beautiful building to photograph! This is the entertainment district where you never get bored. A favourite haven for visitors, this neighbourhood offers a wide range of accommodation, from the low and mid-range options to high-end luxury hotels. You will undoubtedly be seduced by Place des Arts, which hosts Montréal en Lumière – a festival of sounds and lights – in winter, and the International Jazz Festival in summer. The area boasts no less than thirty entertainment venues! 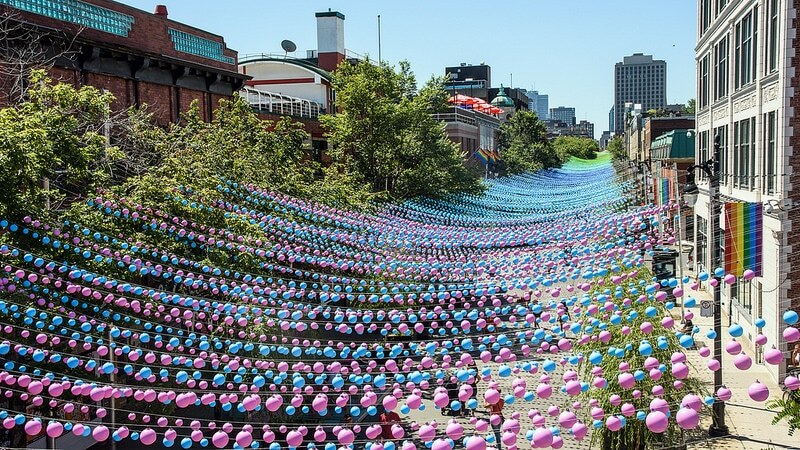 If you enjoy arts of all kinds, it’s THE place to be during your stay in Montreal. 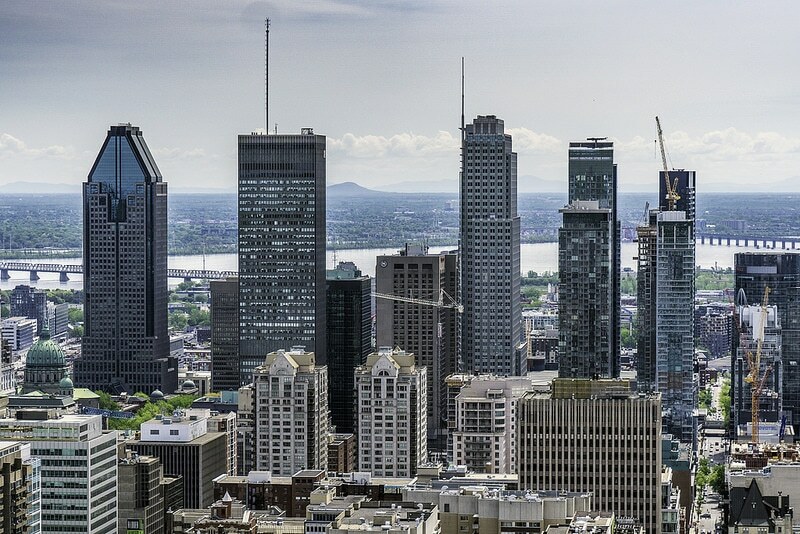 The oldest part of Montreal – founded in 1647 – was originally called “Ville Marie”. 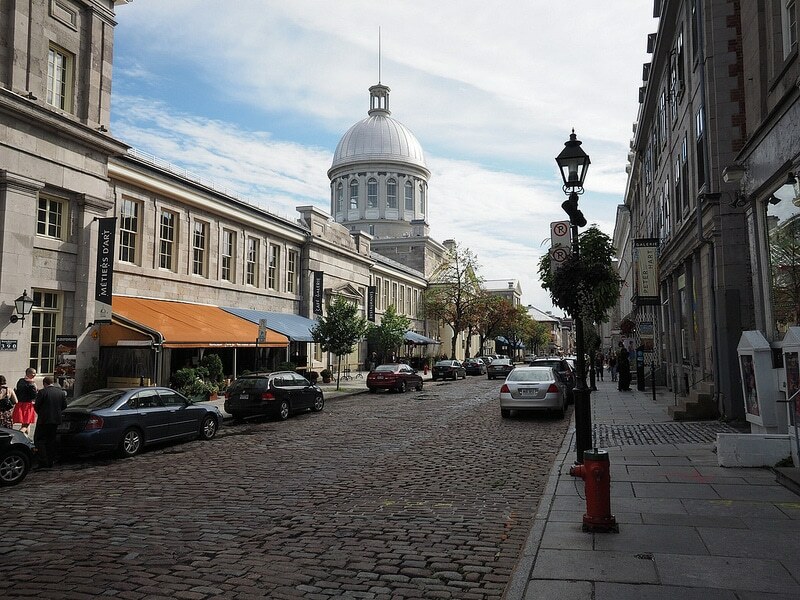 Old Montreal is one of the city’s most attractive neighbourhoods, welcoming nearly 11 million visitors a year. If you choose this neighbourhood to stay in Montreal, with its cobbled streets, flower-filled squares, and age-old buildings, you will appreciate its old-fashioned side that contrasts with the new city. In terms of accommodation, the area is mostly home to luxury hotels which call for a rather high budget. However, since there is little animation in the area, you’re guaranteed to enjoy calm evenings! North America’s most active gay neighbourhood is a hub of Montreal’s teeming life and bustling nightlife. Bars and restaurants are in full swing all year round, especially from May to September when Saint Catherine Street is closed to vehicles. During this time, the neighbourhood turns into a real pedestrian zone boasting an array of markets. The perfect place to stroll and enjoy a vibrant cultural life. Price-wise, accommodation in the Gay Village is rather expensive, as the neighbourhood is quite close to the city centre. 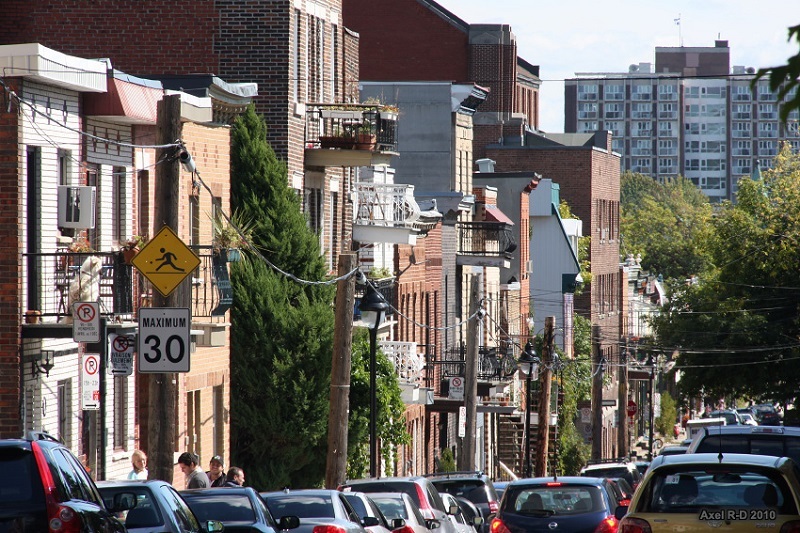 Adjoining the hills of Mount Royal, this is one of the most affluent areas of the city. Its proximity to the university lends it a young and dynamic atmosphere. A rather chic neighbourhood, Outremont is where all the well-heeled Montrealers comes to dine in the great restaurants. If you’re travelling on a flexible budget, and are looking to rent comfortable and beautiful apartments, this is the place to go.